vibrating between these poles. Its pulse can actually be mapped as a cardiogram (of sorts) depicting the time spent in each mode and their ease of transition. What prompts the shift from merging to differentiating or vice versa. Is it positive incentives or do fear, anxiety, anger and aversion play prominent roles? The Jewish people ebb and flow. There are times when we’re a scattered, loose-knit alliance doing our own individual things and there are times when we are swept into a more collective destiny. Ideally, each of us should touch both poles to some degree, but folks often orient toward one or the other. History began with a cosmic tsimtsum. The Infinite One concealed Its light from a circumscribed space creating a dark womblike vacuum within which creation could exist and evolve. Through that act the holy One invented twoness: There’s the light filled expanse that still spreads infinitely in all directions, and there’s the vacuum-like space, the glitch within that Infinite Light, that is dark and empty (at least seemingly so). Into that void HaShem emanated a single luminous ray and thus began the cosmic odyssey of lights and vessels. There are many stages between there and here—between that cosmic tsimtsum and our present-day universe. It is grossly oversimplified (but suffice it to say) that our job is to re-enlighten that vacuum—to draw the Light back into the space that it vacated—the space that’s become our stomping ground. The first attempt at fulfilling this mission failed miserably and is descriptively called the Era of Broken Vessels. This calamitous event occurred on a totally different plane of reality in a totally different time frame. But even still, there are lessons to be learned. The problem was that the lights coming down were too sublime for the primitive vessels available then. If we want to succeed where they failed, our vessels must befit the mighty radiance that is shining through—the Infinite Lights of the Holy One. Lights equate with consciousness. They are the life-force and soul-content of creation. Every thing from atom to Adam possesses a soul which confers its capacity for consciousness. Vessels comprise the outer (body) layer of created things enabling the soul to impact our lower world. These instruments of revelation might be physical, but they could also be astral, angelic, mental, mechanical, digital, or even virtual. Lights and Vessels are soulmates; they are also co-dependents. 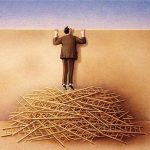 They never exist apart, and their quality of life depends upon the fullness of their match. If their disparity is too great, their partnership will not survive. The vessels will shatter from too much light, or shrivel from not enough. The progress of civilization (and of creation altogether) is the proliferation of evermore sophisticated vessels that can radiate an ever broadening range of consciousness. Eventually the Infinite Light will again fill the vacuum for creation will have evolved into a single, unified vessel (a universe-encompassing Adam) that can embrace that light and bear its full glory without shattering. But there are certain tipping points in history—quantum shifts of such magnitude—that no individual (no matter how enlightened) can manage the enormous surge of lights coming through. The only way to contain them is to fuse our individual selves into a single collective vessel (for the time being). Two examples in Jewish history are the Written Torah’s revelation at Sinai and the Oral Torah’s receival in our Purim story. The problem is that we Jews don’t merge so easily. It takes an enormous pressure to overcome the resistance that gets triggered when our stiff-necked egos are forced to fuse. And so, says the Komarna Rebbe, we see from history that if all else fails, a terrorizing threat from without can accomplish the task. 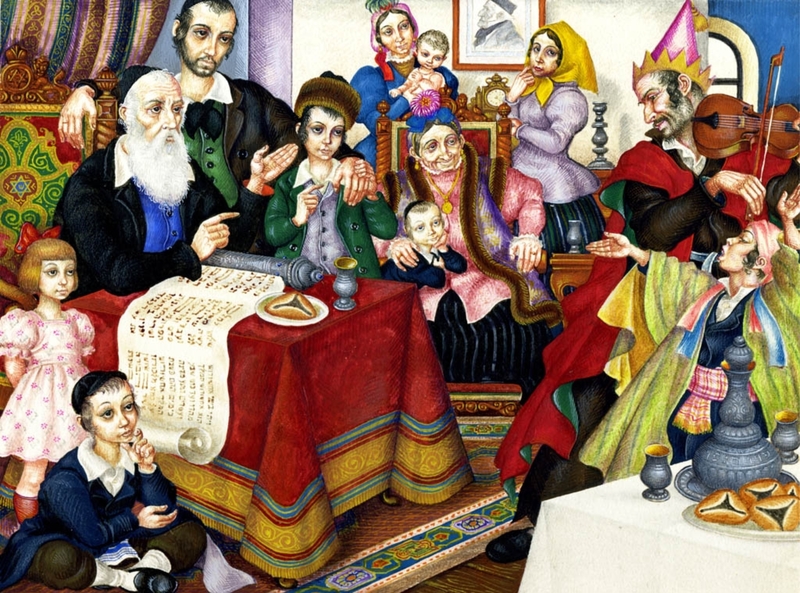 And that brings us to Purim and our Oral Torah—the living and evolving body of teachings that humanizes the Written Text. The time had arrived for us to absorb its paradigm-shifting lights. This development was at least as momentous as Sinai. The Written Torah came from above and without. The Oral Torah is the opposite. Its truths emerge from below and within. God’s word whispers to the hearts of his people, seeding revelations from the inside out. A person speaks and G‑d’s words leave their mouth, they act, and it is G‑d’s deed they perform. Yet this new bonanza of lights and consciousness required a vessel of collective magnitude to pull it down. We needed to access our root—the source of our peoplehood (called Kenesset Yisrael)—and join together there. With that as our base we could contact these lights and make the space to pull them through. But we were an unruly people in those days, still reeling from exile and the corruption that preceded it. The only way for HaShem to effect a merger of that caliber was to apply enormous pressure from without. It’s strange but true that HaShem employed terrorism (or, at least, the threat of it) to accomplish this task. That phrase (spoken by Abigail to David) employs the same root, צ.ר.ר, as the word for persecutor. Yet here, with the vowels rearranged (צורר becomes צרור), it conveys the deepest root of the soul, the place where we, as a people, are hewn from the Infinite Light. That is where our souls turned for refuge and that is where we accessed our Oral Torah. But is this the only way to produce a collective kli? [vi] Is terror the only force that can overcome our resistance to merger? Nature supplies a metaphor. Science counts four forces in the universe: Gravity keeps us glued to the earth. Weak Force powers nuclear decay. Electromagnetism directs the chemistry and energetic processes of daily life. Strong Force binds the protons together inside the nucleus of atoms. For example, a proton carries a positive charge which means it is surrounded by a force field that naturally repels other protons since they carry a similar charge. But if pushed through their initial repulsion to within the range of the strong force, they will bind together with a strength of attraction that is the mightiest force in the world. 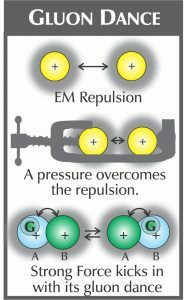 It takes enormous pressure, though, to overcome their EM repulsion and to effect this merger. It takes enormous force to overcome the combined repulsions of our narcissistic radii. A survival threat can succeed—this we know and would like to avoid. The messianic lights for which we yearn will require a collective vessel to host them. The prophets describe awful wars that will precede this Golden Age—to cleanse the world and prepare the vessels to hold its Or Chadash. [ix] Yet there are options. These wars could be military, media, psychic, spiritual or inner wars depending upon the choices we make and paths we choose. There must be a way to get there through love instead of fear. Yet with all our talk about ahavat Yisrael, we can’t seem to translate theory into practice. We tell ourselves to love, it clearly is God’s will, we know that it’s our key to redemption…and still we revert to judgement, blame, conceit and condemnation. We have to find another tact. We need an infrastructure that is poised for merger without expecting the heart to transcend its aversions. For if that’s the prerequisite, we’ve got a long road ahead of us. But if we can unlink these two, and build a network of connections that does not require the heart to become a selfless tsaddik overnight, then we’re in business. The mitzvot of Purim are all network-building. The exchange of gifts and charity creates threads of connection that generate an “adhesive field that glues us together as a people.” The wine parties and merry-making foster camaraderie (“a family who plays together, stays together”). But the Megilla takes things to a deeper level still. It doesn’t mention G-d once in the whole story, not because the Holy One is absent…rather the opposite…because there is not one word, event, or character that is not channeling Divinity. In this Purim spirit, says kabbalah, HaShem invites us up to the inner chamber, called the Reisha d’lo Atyada (the Superrational Heights) where the collective soul of Israel derives. Yet there is an entry fee: We must be willing to join the gluon dance happening at that level, that is the secret of its power to effect merger. In those rarified environs it is clear that even the things we know, we don’t really know. A kaleidoscope of perspectives swirls about as each I-center shares its view. We see the fallacy of our judgments as missing parts of the picture come clear. Then, with that humbling awareness we step onto the dancefloor and contribute our share to the collective merger by hearing HaShem speak through the Hamans and Achashveroshes of our lives. Perhaps we’ll discover that they actually have a point, that they’re raising issues that we have overlooked and really must consider. Perhaps, their assertions are just plain false (as far as we can see). Their data is flawed or their arguments biased or their opinions just do not ring true. But even so, their intentions are good. They are motivated by a Torah value and seek to do the ethical thing. Perhaps there is nothing redeemable about their content or intention. They are thugs through and through. But HaShem brought them into our lives for a reason. They are delivering a providential message which we must decode by finding the most spiritually productive response to their ordeal. HaShem chooses the most fallen souls for this dirty work. They’re performing a service that makes them despicable in our eyes but, apparently, someone had to do that job. So may it be for us! [i] And (3) who furthermore share a collective identity as Kenesset Yisrael (the Mystical Body of Israel) a synonym for the Shekhina (Beloved of HaShem). [iii] Rashi on Ex. 19:2; Mekhilta on that verse. [iv] Midrash Rabba (MR) Tavo 7:8. [v] R.Y.Y.Y. Safrin (the Komarna Rebbe), כתם אופיר (Commentary on Esther), 5:14 (יעשה עץ). [vii] Luria, Isaac. Shaar HaGilgulim, chapt. 20. [viii] The Who’s Who of similars and opposites is actually quite convoluted when applied to human beings and their complex psyches. 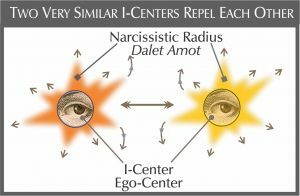 The Komarna Rebbe notes that enemies may appear to be opposites but they always actually carry a disowned spark (ie, trait) of our very own self which, in fact, makes them similar. Our mutual repulsion comes from there. With every person, there are differences and overlaps. It is certainly true that there is chemistry in opposites but we also generally prefer the company of folks that see the world similar to us. Similarity creates camaraderie…and attraction. Even so, there is closeness and there is closeness. According to the Ari, if someone’s soul-specialty is so similar to my soul-specialty that it threatens to make me redundant, I’ll will feel aversion toward that person. I may explain my dislike by pointing to the differences between us, but really, it’s the similarities that prompt my antipathy (whether I know it or not). 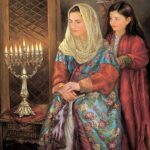 [ix] Or Chadash means New Light, and refers to the radiant, sparkling messianic lights that bring bliss and bounty, joy and answered prayer with them. [xi] “When the word king appears in the Megilla, it refers to Achashverosh as well as the King of Kings, the Blessed Holy One,” ספר הפליאה – ד”ה טצ”ץ ט תשעה, צ תשעים, ץ ט. ;מדרש אבא גוריון פרשה א. Komarna Rebbe (1:1) goes further and asserts that also the king’s name, Achashverosh, is an acronym for HaShem: -אחרית וראשית שלו – the acharit (end) and reshit are His. [xii] Megillah 7b; Shulchan Aruch, Orach Chaim 695:2. [xiii] TB Brochot 31b, Shabbat 77b. [xiv] On Purim it all goes topsy-turvy. [xvi] The Komarna Rebbe notes that there are three times that Haman is called the צורר היהודים (persecutor of the Jews), but the last time (9:24), the verse quoted above, it actually says: צורר כל היהודים (persecutor of all the Jews). The Komarna Rebbe explains that at first it was just the Jews of Shushan that united in prayer and sackcloth. But by the end, all the Jews (far and wide) were united as one.